Minnesota is about to enter into the legal battle for sports betting. 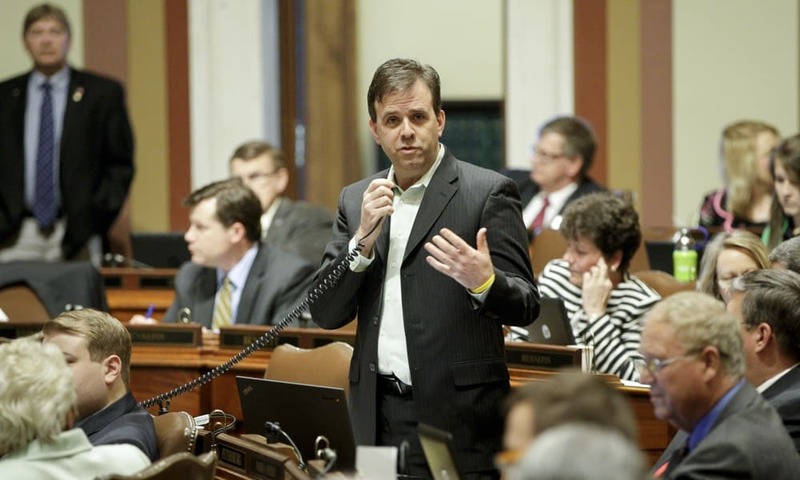 Representative Pat Garofalo announced his plans to introduce sports betting legislation while on Minnesota Public Radio. The proposed bill would regulate sports betting within the state and join more than a dozen other bills from other states on the same subject. Garofalo stated his desire for a regulated, safe and fair sports betting environment. He addressed that fact that sports gambling already takes place within the state, with most of the activity happening online. Garofalo sees this unregulated market as an issue with the bulk of profits going overseas, where there are no consumer protections. There are a number of unregulated and regulated, legal offshore sports betting sites that accept USA bettors. The representative envisions a safer market for local consumers with a legal and regulated sports gambling framework sanctioned in the United States. The Minnesota State Department of Public Safety recently announced they are ramping up their enforcement against illegal sports betting—both online and physical. While it is nearly impossible to enforce illegal offshore betting sites, they could potentially shut down bookmakers operating locally. Legal offshore betting sites exist and are outside US federal law, but states like Minnesota want to divert traffic away from those vendors and bring US bettors into a domestic market. This is because of the large profits sports betting sees. If Minnesota had a legal sports betting market, some of that revenue could go back into the state. As with other states who are attempting to pass pro-sports betting legislation, there is a waiting period. New Jersey is the closest state to legalizing sports betting and all other US states trying to legalize the gambling form are waiting on the outcome of that case. The NJ sports betting case currently resides with the US Supreme Court. The Garden State attempted to authorize sports betting several years ago, prompting a lawsuit from the major sports leagues and the federal government stepping in to overturn the law. New Jersey is arguing that PASPA, the federal law banning sports betting in 46 states, is unconstitutional. They believe states should have the right to host legal sports betting should they choose to do so. After the initial fallout of the ambitious law, New Jersey took to the lower circuit courts to make an appeal. They lost their appeal, but kept pushing onward, eventually landing them a seat with the highest court in the United States. The fact that the Supreme Court is even hearing this case is a positive sign, but there is no guarantee of a favorable ruling. If SCOTUS rules in favor of New Jersey, it is likely that PASPA will be repealed. At this point, Minnesota (and the other states who have pushed sports gambling legislation) could successfully legalize and regulate sports betting. Minnesota has a unique hurdle in their quest for sports betting—the local Indian tribes. The state has 11 tribes, all of which have their hand in some form of legal gambling. In fact, the tribal gaming structure is the only legal form of gambling present in the state. So, you can guarantee that those tribes are going to want a piece of the sports betting action. It is unclear whether Garofalo’s legislation will have any success on the legislative circuit. The one certainty is that nothing will happen until the NJ sports betting case is resolved. In that event, and should the local Indian tribes reach an agreement with the local government, Minnesota sports betting could come to fruition.